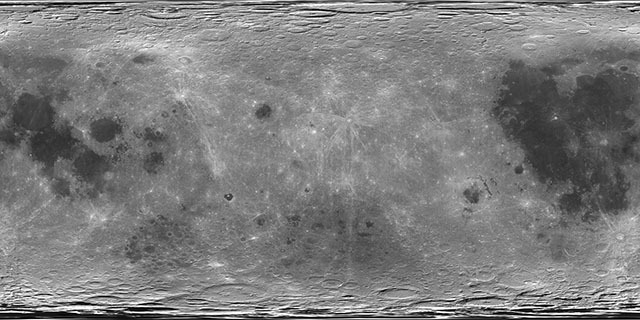 The Planetary Visions Moon texture map is derived from thousands of images returned by the Clementine spacecraft. The resulting texture map represents the most complete and realistic texture map of the Moon's surface. Unlike other Moon texture maps, which are an airbrushed artistic impression, the Planetary Visions Moon texture map is built from genuine imagery, thereby allowing highly realistic views of our Moon to be rendered.